September 25, 2011  Six months ago, Michel Martelly was "Sweet Mickey" — a pop star known for his bald head and big parties. Now, he's the president of Haiti. He spent the last week in New York, mingling with world leaders and wooing new investors. Weekends on All Things Considered host Guy Raz speaks with President Martelly about his new job, and where billions of relief dollars have gone in the earthquake-stricken nation. September 23, 2011  The Mexican drug cartels have waged a ferocious campaign against the media, killing journalists who have reported their activities. Now it appears they are going after social media sites. 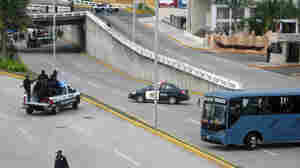 September 21, 2011  A gang known to be aligned with Mexico's most-wanted drug lord appears to be making a violent challenge to the dominant cartel and Mexican officials in the Gulf state of Veracruz, dumping 35 bodies on a busy avenue in front of horrified motorists. 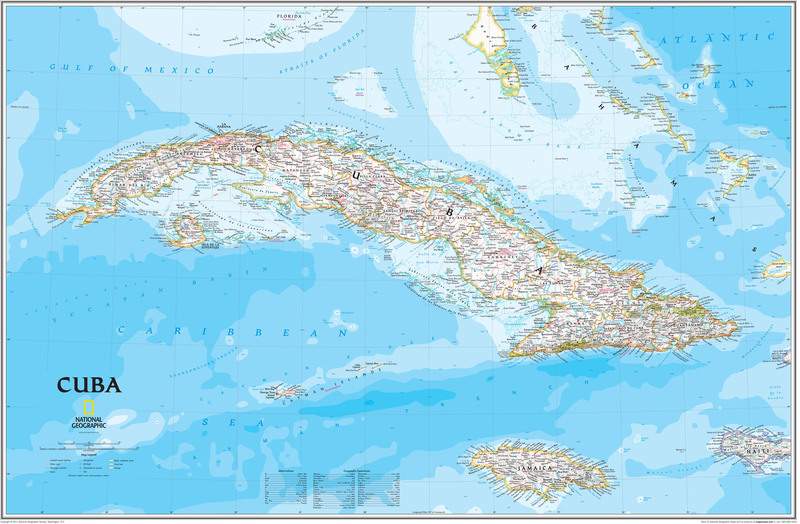 September 20, 2011  The National Geographic Society released its first comprehensive map of Cuba since 1906 in July. 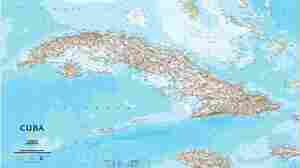 The cartographer, Juan Jose Valdes, fled Cuba as a young boy and is not just any geographer, but the Geographer for the society. September 20, 2011  In communist Cuba, thousands of small private businesses have cropped up since the government eased its control of the economy. But entrepreneurs still face limitations, like restrictions on advertising. September 16, 2011  When Venezuela's President Hugo Chavez fired 20,000 striking oil workers, many went to other countries. Venezuela's loss has been Colombia's gain: Production there has risen from 500,000 barrels a day in 2005 to nearly 1 million barrels today. September 16, 2011  The bicentennial celebration of Mexico's independence was called off in Ciudad Juarez last year due to the terrible violence that convulsed the city. This year, though, the party is on. The city will spend more than $400,000 on a massive fiesta that some 60,000 people are expected to attend. The current mayor says authorities have more control over the violence now. But the murders continue on a daily basis, and not all residents say they feel secure. 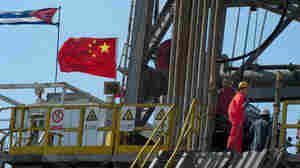 September 12, 2011  A Chinese-built oil rig is expected to begin drilling exploratory wells in Cuban waters 60 miles from the Florida Keys as soon as November. And a group of U.S. oil spill experts says American trade sanctions against Cuba stand in the way of proper spill preparation and coordinated cleanup. September 9, 2011  San Diego's power company has restored power to all of its customers. 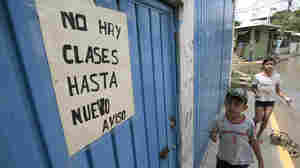 Thursday afternoon, more than 4 million people in the Southwestern U.S. and parts of Mexico lost electricity. Arizona Public Service Company says the outage occurred after an electrical worker mistakenly removed a piece of monitoring equipment at a substation in southwest Arizona. September 8, 2011  The Justice Department released a report Thursday accusing the police in Puerto Rico of civil rights violations and other practices resulting in hundreds of injuries and some deaths. Much of the abuse had to do with illegal searches and seizures, use of excessive force, and discrimination against Dominicans. 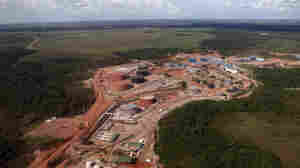 September 7, 2011  Brazil has discovered enormous oil fields 200 miles off its coast. The country is in the midst of a debate about who should benefit from the revenues. 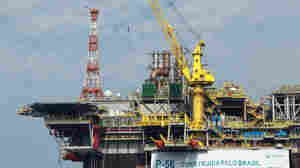 But analysts predict its economy will better be able to handle an influx of oil than many other countries. September 7, 2011  The Putumayo World Music record label is responsible for nearly 200 commercial releases around the globe. Guest host Jacki Lyden speaks with the company's founder and CEO Dan Storper about their two latest albums — Latin Beat and African Beat — and how the company fulfills its mission of delivering exceptional world music to a broad audience.